Saker Falcon Global Action Plan (SakerGAP) Published and Available Online! The Coordinating Unit of the CMS Raptors MOU is pleased to announce that the Saker Falcon Falco cherrug Global Action Plan (SakerGAP) has been published and is freely available online at the CMS website here (see Conference Documents > Doc.23.1.5.2). 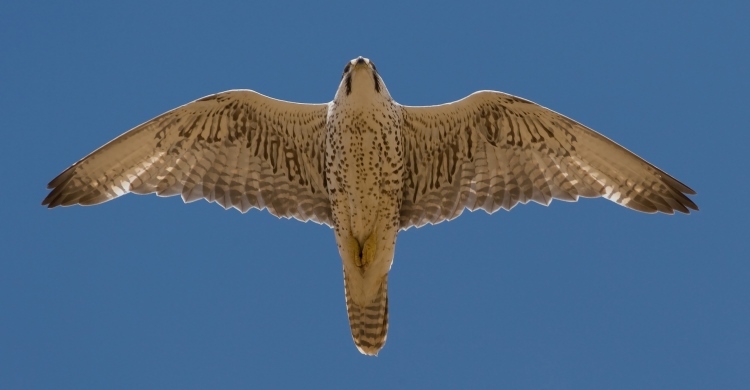 The SakerGAP is a ten-year plan (2015-2024), developed by the Saker Falcon Task Force, to reverse over two decades of rapid population declines. Its overall goal is to re-establish a healthy and self-sustaining wild Saker Falcon population throughout its range, and to ensure that any use of the species in traditional falconry is sustainable. The Task Force was established as part of a Concerted Action process adopted at the 10th meeting of the CMS Conference of the Parties. It comprises over 50 Government representatives, specialists and stakeholders from more than 20 countries. Its primary mission was to bring together Range States, Partners and interested parties, to develop a coordinated SakerGAP, including a management and monitoring system, to conserve the species. In July 2014, the SakerGAP was unanimously endorsed by CMS Scientific Councillors at the 18th meeting of Scientific Council held in Bonn, Germany. It will be presented for final approval at the forthcoming 11th meeting of the CMS Conference of Parties at Quito, Ecuador in November 2014. Range State Governments, international organizations, other stakeholders and interested parties are all invited adopt the SakerGAP and to actively engage in the conservation and management actions required to preserve the species on its breeding grounds, all along its flyway and in its wintering areas. Install or retro-fit 1,000,000 new or existing ‘bird-safe’ electricity poles. For more information, please contact the Coordinating Unit of the Raptors MoU at cmsoffice.ae@cms.int. Saker Falcon Global Action Plan – Still Time to Comment!